I love before and after posts don’t you? 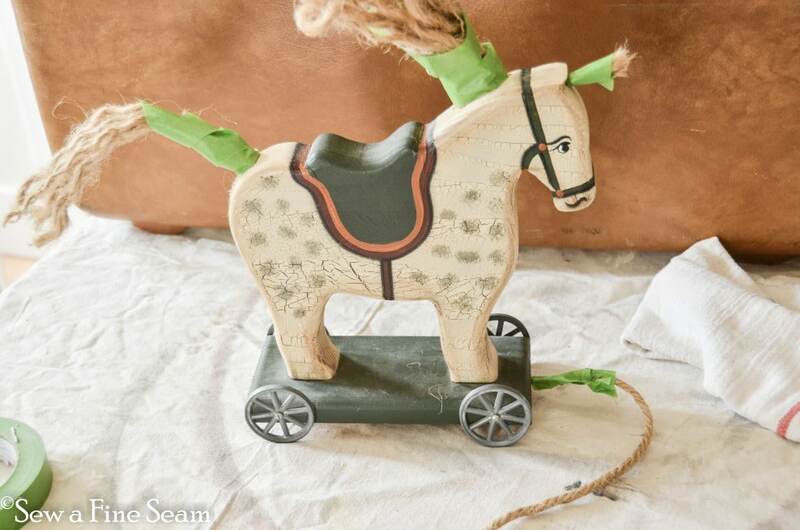 It’s so fun to see something old, worn-out, or broken given new life, a chance to see another day! Remember this chair? From this post? It got a rub down with hemp oil and a new seat. 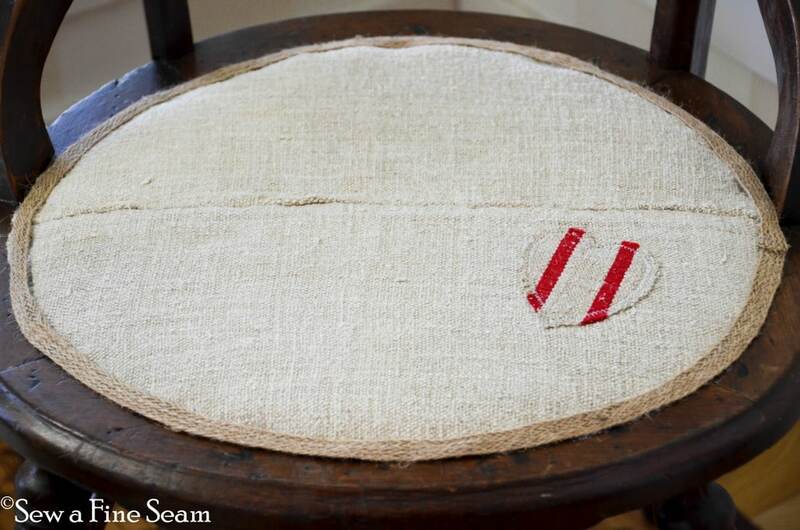 I just stapled a piece of an antique European grain sack over the caning after I stitched the heart on, and added the trim with hot glue. The ottoman is a recent find that I think I forgot to get a ‘before’ shot of. 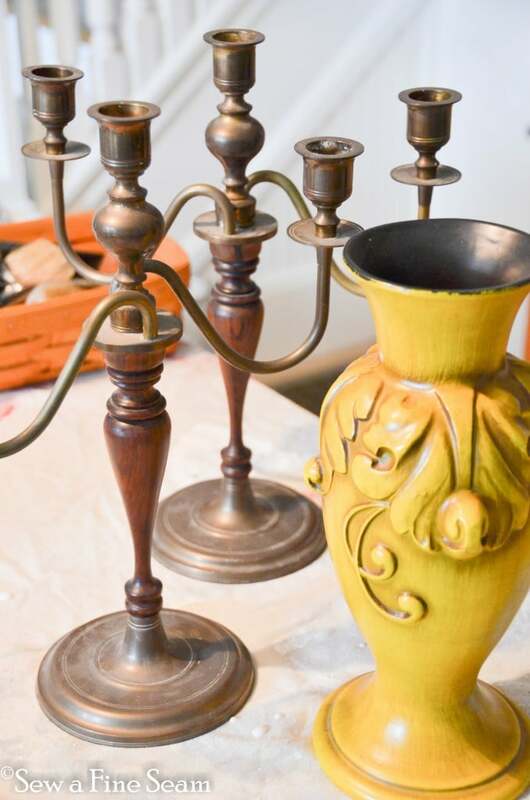 I used hemp oil on the legs, rubbed the brass feet cups with silver rub-n-buff, and covered the top with grain sack inspired fabric I purchased from Decor Steals. See that ottoman on the right side of this photo? The one with the floral print and the ruffle? It now looks like this! It’s the one in front. I ditched the tufting and covered it with a vintage piece of an old bedspread. 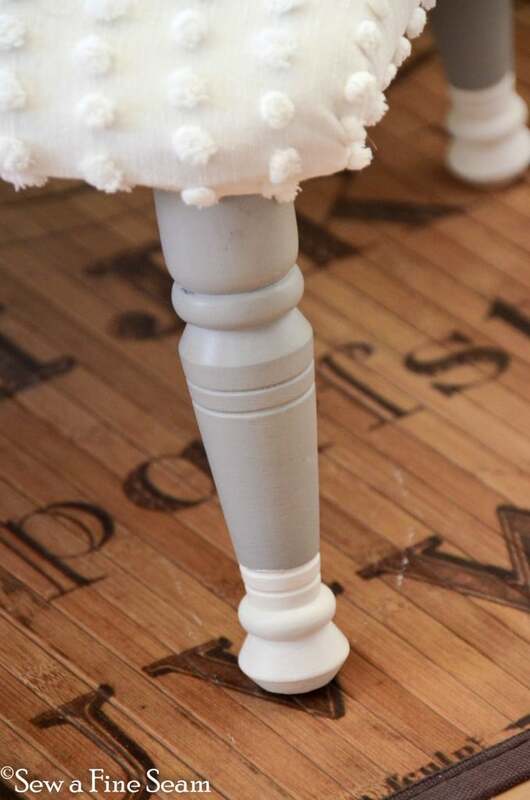 Legs were painted AS Paris Grey and ‘dipped’ with AS Pure White. 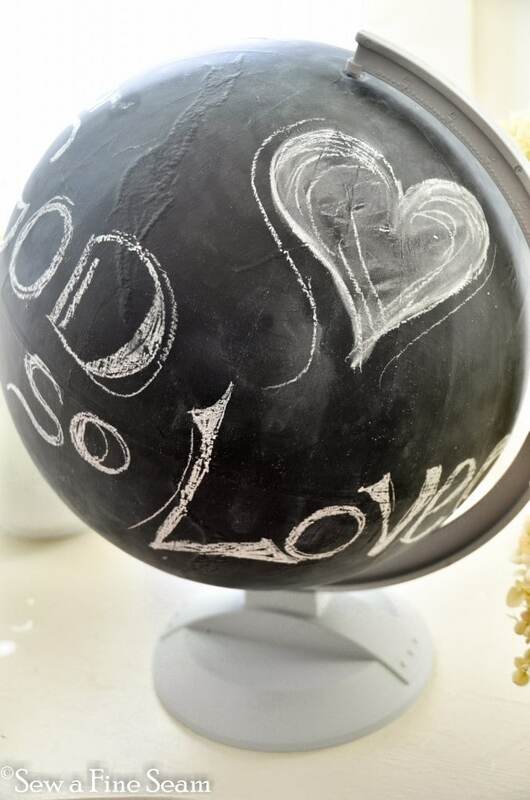 The curly wood piece is a garage sale find painted Paris Grey and Pure White and waxed with clear wax and white wax. The ottoman in the back originally had black legs. I painted them white and sewed a quick slip cover using a piece of wool fabric I had in my stash. And this little chair? With the seat all destroyed? How’s this for a fix for that broken seat? I still need to do some cleaning up on a bit of rust to make it look a little nicer but just giving it a coat of paint and a new seat did wonders! I hope it finds a new home and some child can love it for awhile. Laminate fabric is one of my favs! He’s MUCH happier now with his Paris Grey coat and Pure White dots! He posed so prettily for photos. 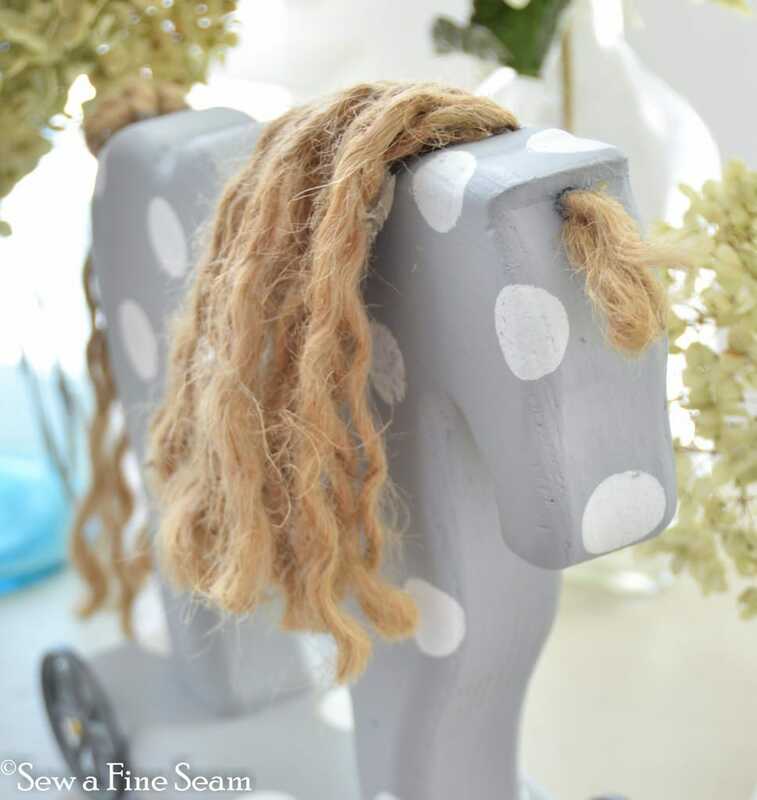 Don’t you think he’d make a nice addition to a nursery? 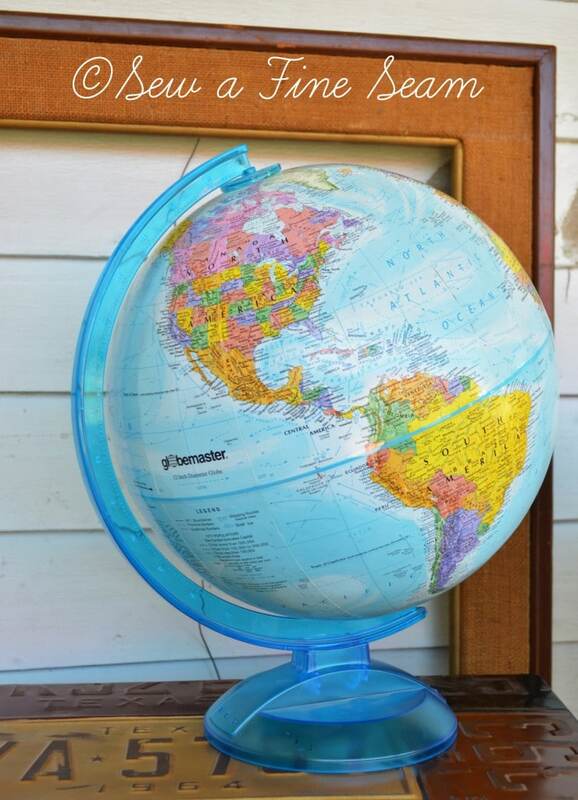 Remember this globe from this post? The base got painted Paris Grey (do you get the feeling I love that color?) 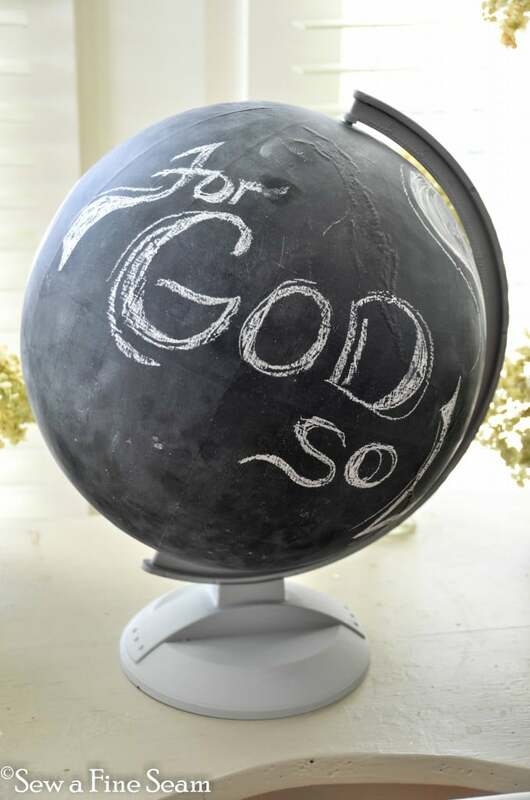 And the globe got painted with chalkboard paint. This idea is not original by far. I know I saw it on a blog I read but I can’t remember for sure where. 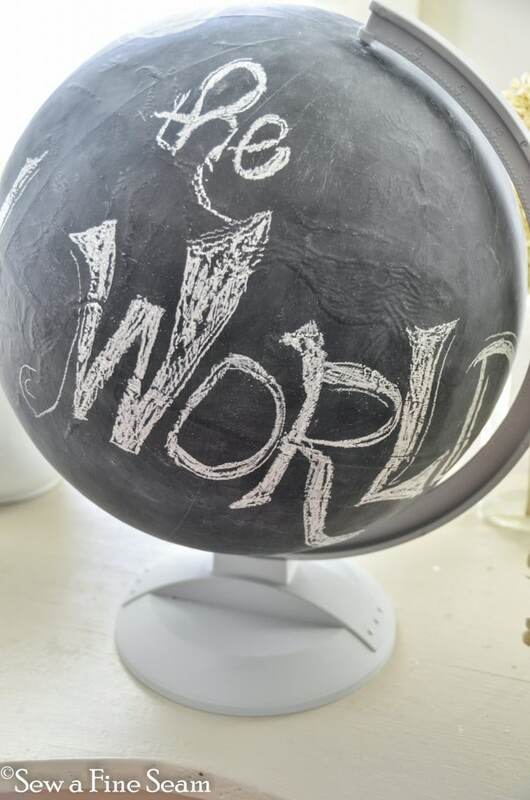 I loved the idea and knew I would use it when I found a globe that I didn’t want to keep in the current condition. When I found this one at Goodwill it immediately went in my cart. 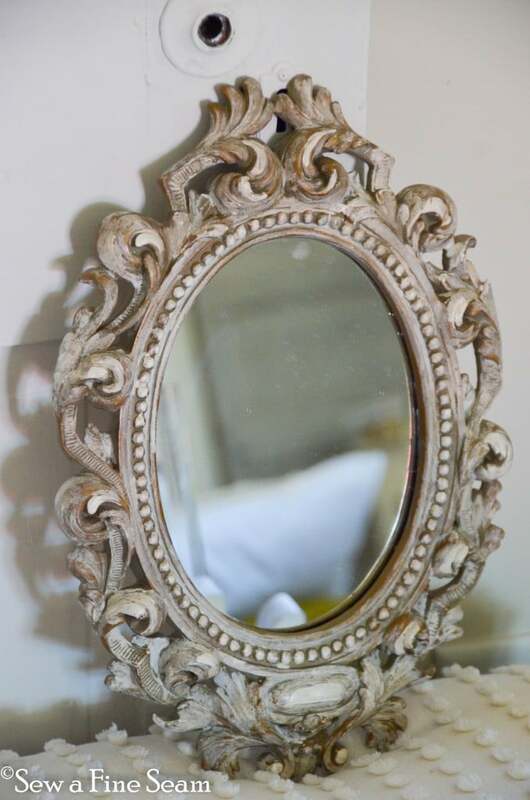 I think it will look great in my space in The Vintage Marketplace in a week and a half. 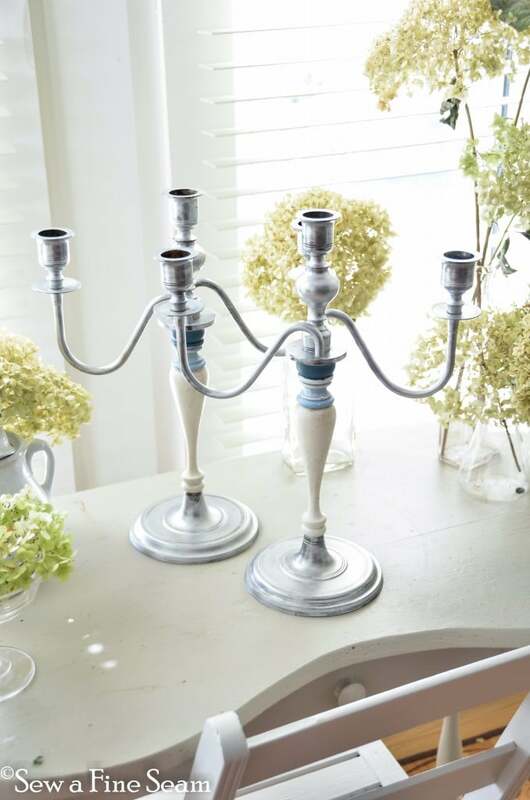 These candlesticks got a makeover too. 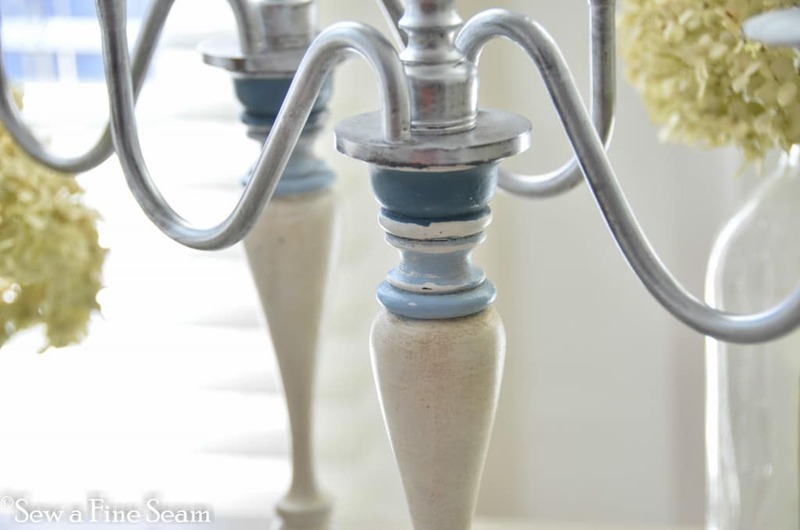 Silver rub-n-buff and white and blue chalk paint. My daughter did the detail painting with the blue. 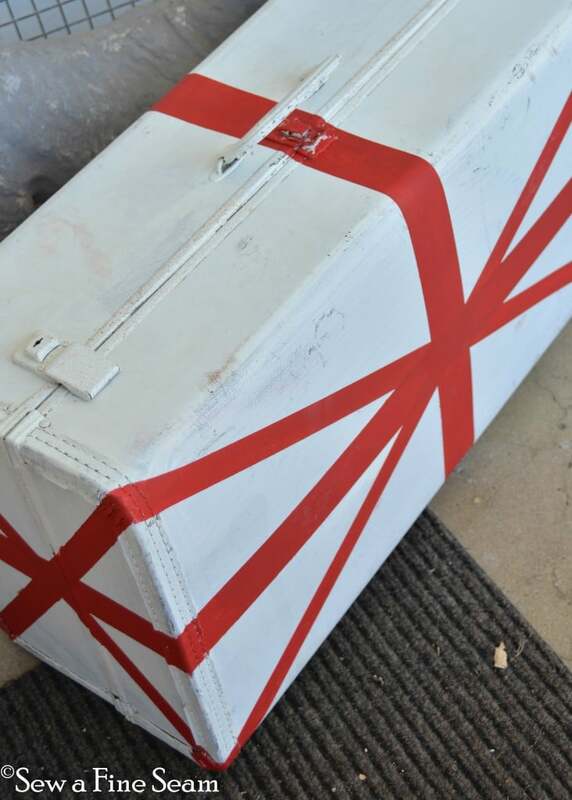 Remember the suitcase I showed you a picture of when it had some frog tape on it? This is the ‘After’ of it. 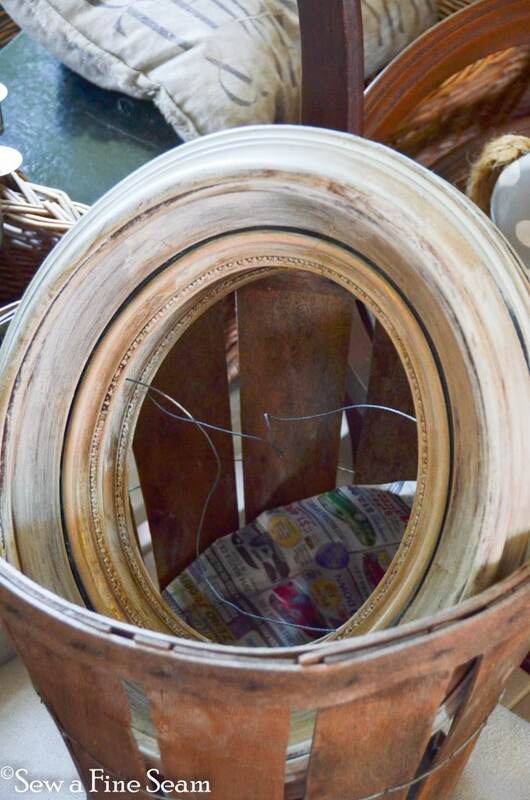 This mirror ‘Before’ showed up in the same post as the suitcase above. This is the ‘After’. This is just the beginning of the pile that is forming in my living room. It’s already much bigger than when I snapped this. 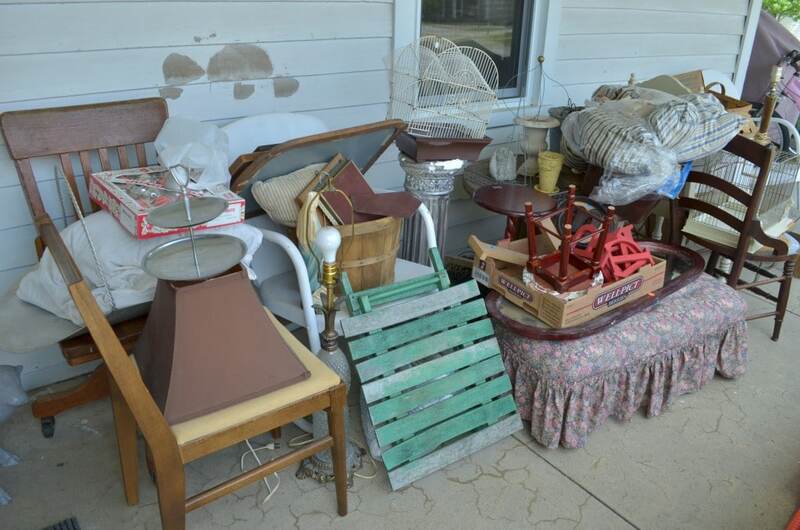 You can hardly make your way through the piles to sit on the couch! And that’s it for now. I have more but the pics are still on my camera. I’ll try to find time to share more soon. Amazing my friend.. just amazing…. I really wish I could make it to Springfield, but not sure I will be. Will you be there Sunday? We have school coop on Fri and a wedding on Sat so not sure I’ll make it unless I run over on Sunday. 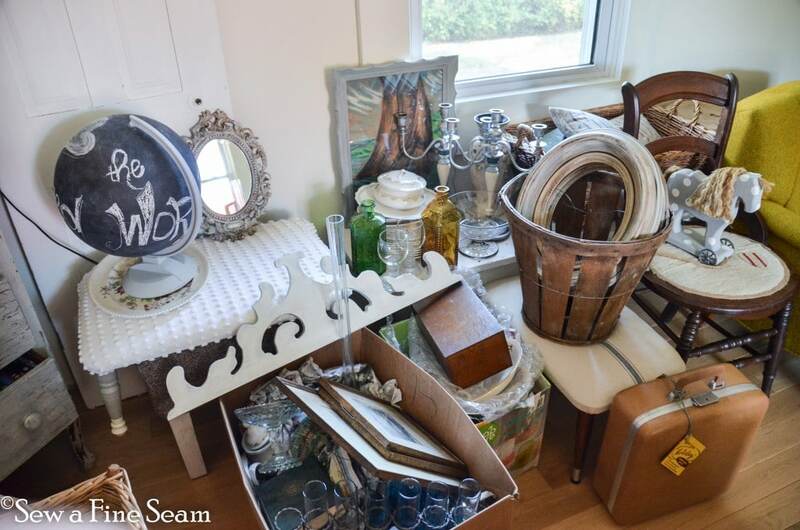 My favorite is the heart patched chair and the candlesticks! Brilliant! Wow, what fabulous makeovers!! 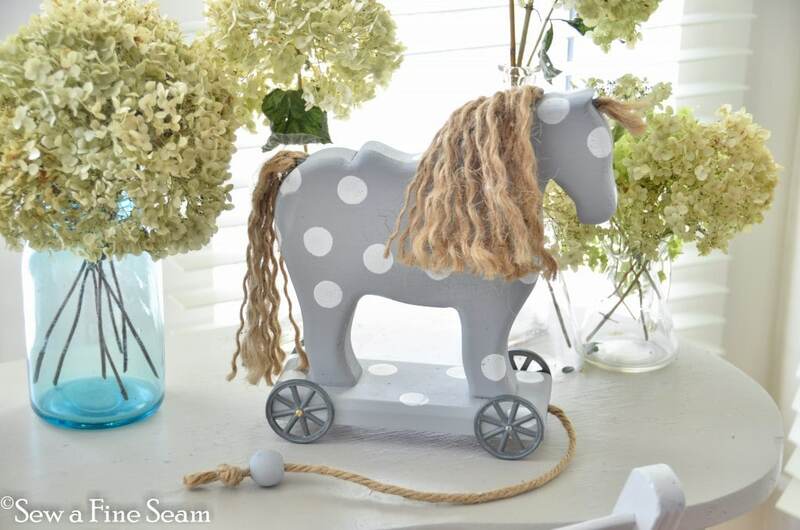 My favorite is the ottoman with those dots, so charming! Great job! 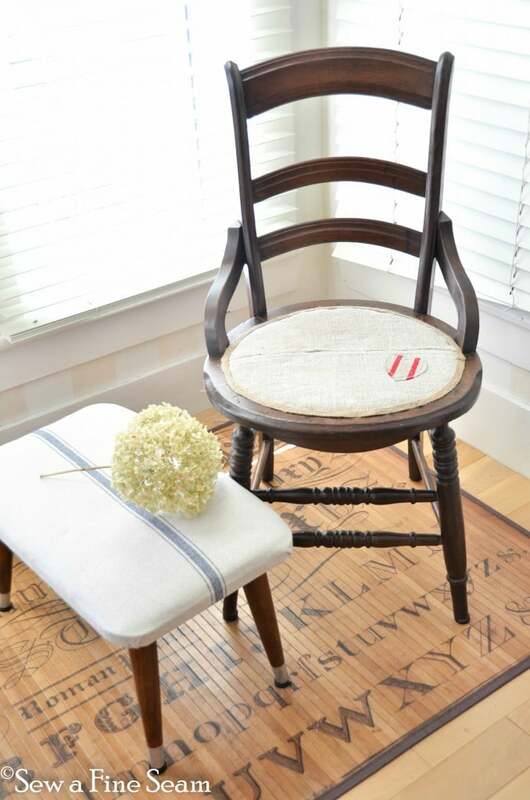 I love the little chair with the laminate fabric. How did you place it on the chair? I love AS Paris Grey too 😉 but I’m on a white kick right now. Oh my I love it all. I love the chair with the little heart on it. Thanks for sharing your finds.. It inspires me! It’s all amazing! What great ideas. 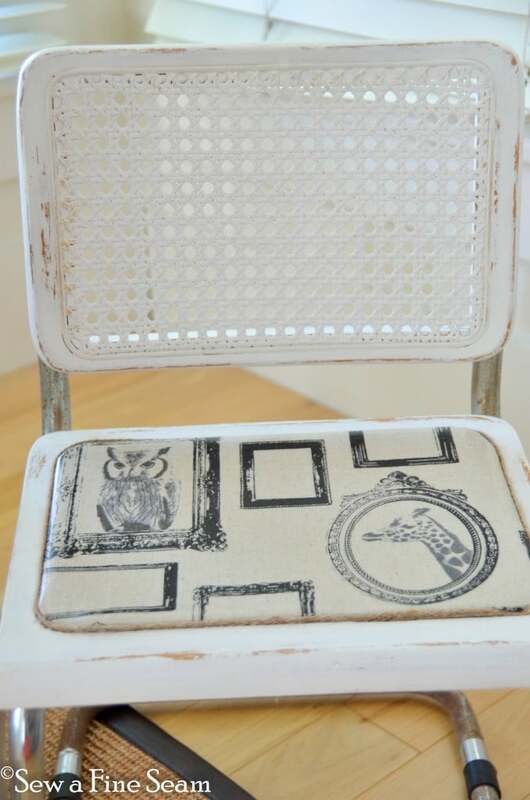 Love what you did with the little heart patch on the chair. So unique! Sure makes me wish I could be at your market. Love so much of what I saw in photos. Awesome stuff. Love how you fixed the seats in both chairs. 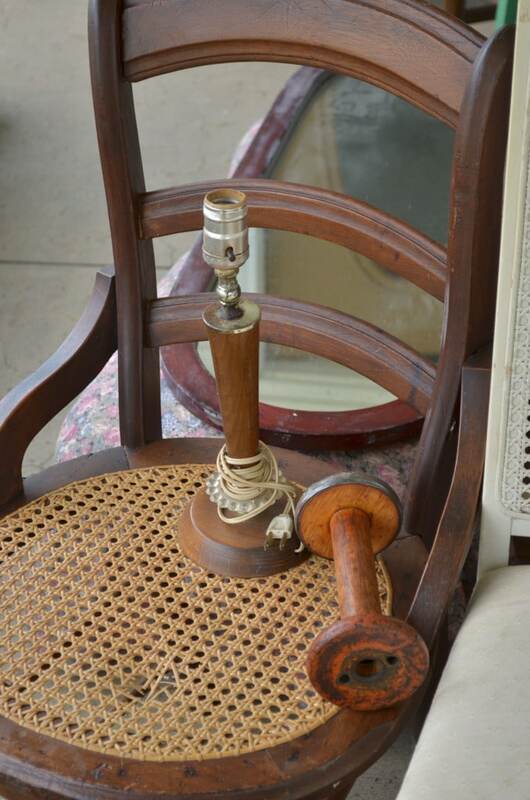 The heart on cane chair is so sweet. Just for your info, you can buy new sheets of caning to put on chairs. 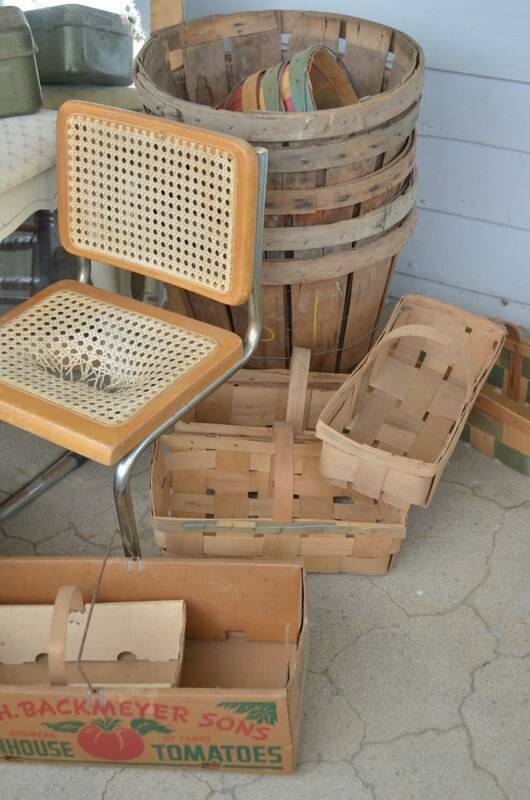 We bought a chair years ago at a swap meet in San Diego. Hubs found some caning, put it back on with the trim and that chair is still in great shape even after all our moves and being stored. 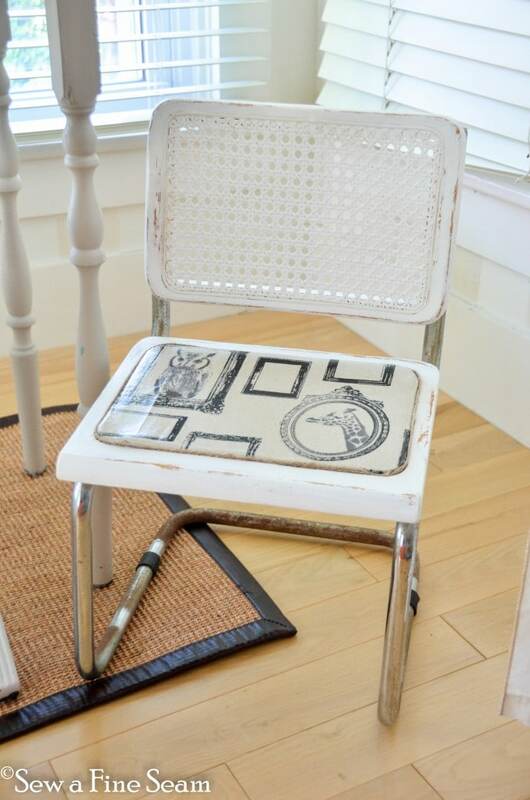 I’d love to paint that chair, might, but cover over the caning so as not to ruin it. I love the way you’ve transformed those pieces! 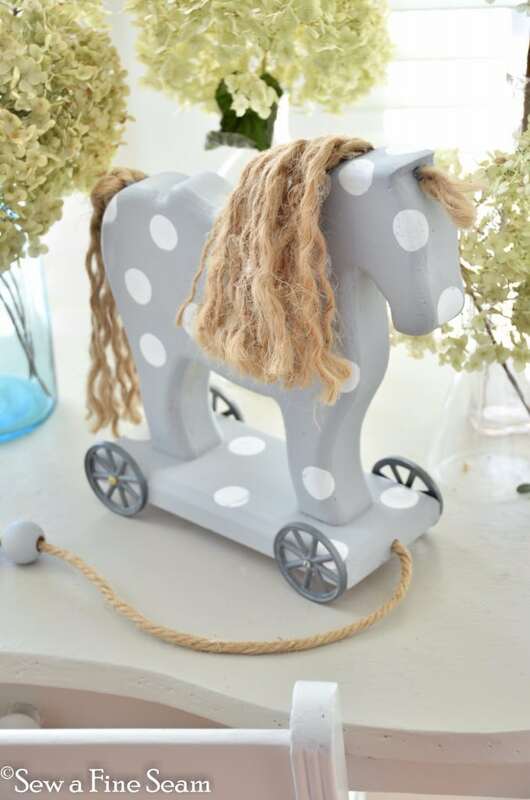 The globe is so cute with it’s chalkboard paint and the rocking horse is precious with the polka-dots and rope mane. 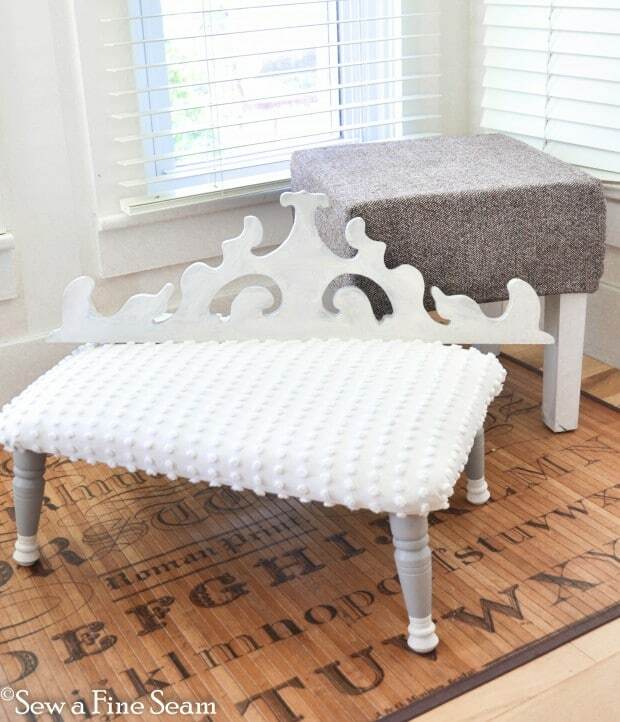 The little grey and white ottoman is so pretty with the textured fabric on top. You’ve got a great eye for things! your keen eye and photography always knock me out! look at that totally unique chair–so contemporary now and a thing of art. rock on!